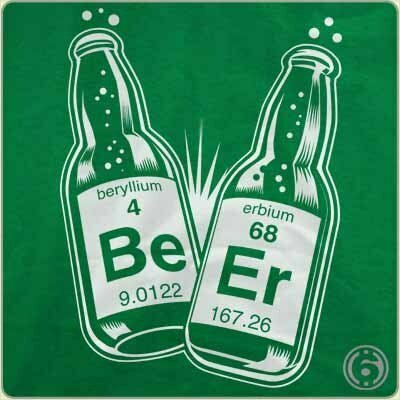 Beryllium Erbium – what you have here is the science of beer. The Table of Elements is always a winner for a t-shirt design, but it goes to an entirely different plain of goodness when you combine it with beer. Actually, I totally thought this was a Walter White drinks beer in Breaking Bad shirt. Keep that beer away from flies. They contaminate the bewing process.